New to Whitefield area of Bangalore and wondering about things to do and see with kids? Don’t worry, we have your back. This area has, in many ways, developed into a singular town of its own with a distinct cultural taste and plenty of activity options. Here’s a list of activities that are a good blend of fun and excitement! 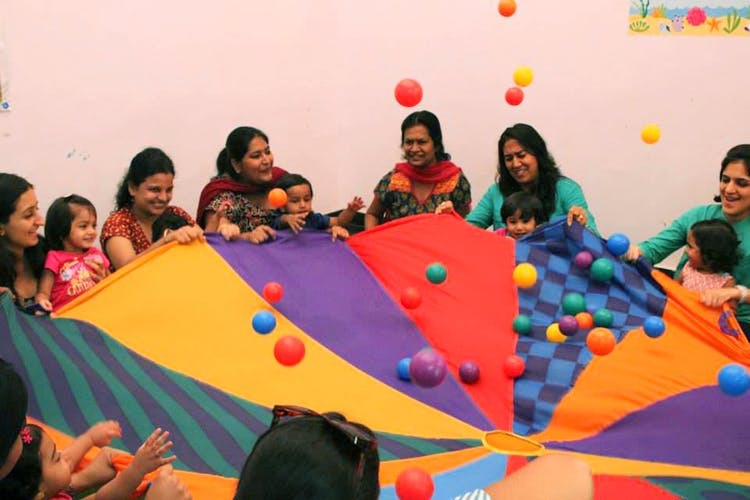 A follow-up to Baby Sensory, this program caters to toddlers from 1 to 5 years. Expect similar stimulating programmes on a higher level. Motor skills too come into play here. A global name in the field of entertainment, Funcity is now at VR Bengaluru. With a wide arena of play zones, games, and fun rides that include dashing cars, bowling alley, a happy swing, tunnels to crawl through, a trampoline illuminated with neon lights, and much more for the entire family, this surely makes for a happy and exciting outing. This is a place all parents dream of. It provides an experiential learning environment for kids between 4-12 years through structured programs. From motor-skill development to gymnastics to parent-child programs to dance and martial arts, the child is given the opportunity to seamlessly graduate from one level to next. They also conduct some awesome theme birthday bashes. On select Friday and Saturday nights, parents can even opt for a break time from kids; kids thrive in a safe environment while the parents can enjoy the kid-free time. A warm and cosy ambience welcomes kids and adults to let loose here with some fun activities to do. While the kids have the chance to unleash their talent, you could also take up a hobby course and explore your creative side. The set-up is warm and friendly, giving you a chance to meet other parents over some coffee and snacks. And, hey, you could even shop for some unique knick-knacks! A pre-school that also provides an enriching environment for kids who enrol for after school and day care facilities, the activities include Abacus, language classes, Taekwondo, music and art classes, among others. Age group: All ages welcome. An innovative spa and salon designed to deal with fashion and style statements of young dudes and divas, and even adults. It’s a fun place to hang out, try the organic beauty products, get a nail art done for your teen, or make your baby’s first haircut a special affair. This story was originally published on Buzzing Bubs.